Israeli colonialist settlers attacked and injured, on Friday evening, a young Palestinian man in Hebron city, in the southern part of the occupied West Bank. The Palestinian, Hatem Sameeh al-Mohtaseb, 22, told the Palestinian News & Info Agency (WAFA) that he was surrounded and assaulted by ten colonists in the center of Hebron city. Medical sources said the young man suffered lacerations and bruises to various parts of his body, and was moved to a local hospital for treatment. 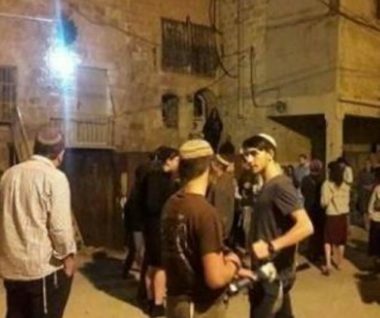 It is worth mentioning that Israeli soldiers rushed to the scene and secured the retreat of the colonialist settlers, who live in an illegal outpost in Tal Romedia neighborhood, without detaining or even questioning any of them. Last Sunday, A number of colonialist settlers demolished a room which was built by a local Palestinian youth group in Tal Romedia neighborhood.